Georg-Wichtermann-Platz - View of the Georg-Wichtermann-Platz in Schweinfurt. Arnstein: Weathercam Arnstein, 11.4 mi. Haßfurt: Haßfurt Airfield, 13.2 mi. Pfaffenhausen: Hammelburg and Saale Valley, 15.2 mi. Bad Bocklet: Rehazentrum Bad Bocklet, 17 mi. 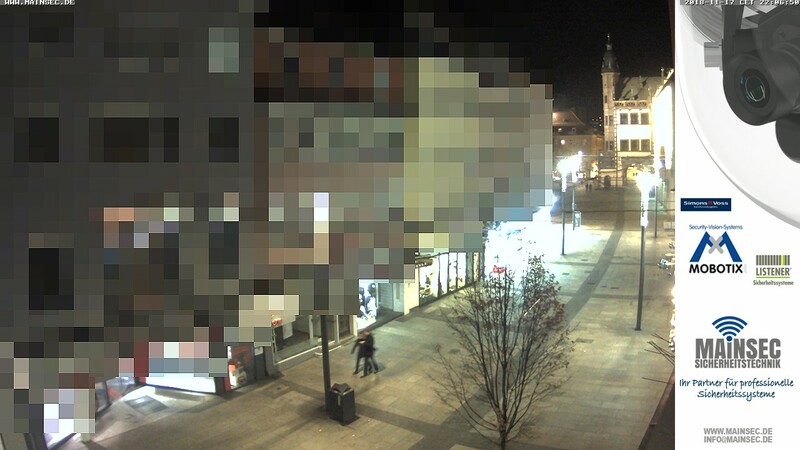 Bad Neustadt a. d. Saale: Webcam Market Place, 19.2 mi. Würzburg: Marienberg Fortress, 21.7 mi. This webcam Schweinfurt with the theme Public Places was added on June 21, 2012 and is operated by Webcam Schweinfurt. It got 11838 visitors since then. Shouldn't this webcam work or should the link be wrong please report that here. You can add this webcam here to myCams.